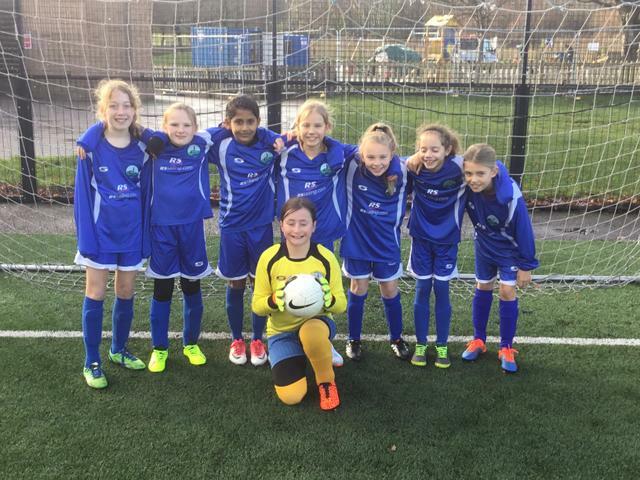 The Longfleet Lionesses did themselves proud in the Dorset Schools Finals. After a 1-1 draw in the group stages against a very strong Radipole (a long range effort from Abhiya) and a hard fought 1-0 win against Blandford St Mary (a tap in from Keira) we were through to the quarter finals. A close match against Conifers from Weymouth was decided by a huge slice of luck. A huge clearance from Abhiya hit the referee square in the stomach and rebounded directly to their striker, who put the ball away. An unfortunate way to go out but the Lionesses should be very proud of their efforts this term, they have battled hard and scored some fantastic goals in their three tournaments. Huge improvements have been made in their touches, positional play and work rate.